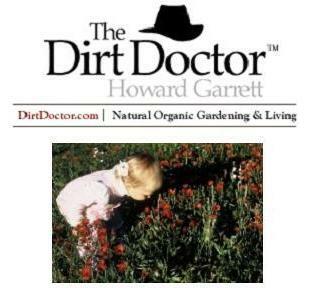 A while back, I told someone on my radio show that they could find out about all the good organic fertilizers by going to the Organic Library on DirtDoctor.com and looking under “Fertilizers” or “Organic Fertilizers.” Oops! We did not have these topics. Although there was lots of information scattered through the site, there was no comprehensive listing. Well here it is for you first – then it will go in the Library. If you know of other products that should be added, let us know. * These are “bridge” or “transition” products that contain some synthetic ingredients and are not acceptable in organic programs. They are included in this list because they are important in helping some people make the switch. They are certainly better than pure synthetic products. To find out where to purchase these products, follow this link to my website: Organic Retailers. Also, here is a short video on Why you should go Organic.